Worms Armageddon now available on Steam with Worms Revolution preorder! 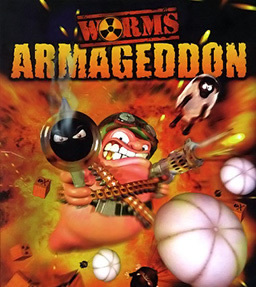 In case you missed the announcement, new life has been breathed into the “fan-favorite” classic game, Worms Armageddon! At the time of this posting, you can pre-order Worms Revolution from Steam. With your preorder, you get the prestigious Worms Armageddon for free WHICH YOU CAN PLAY RIGHT NOW on Steam! Check out this link to pre-order Worms Revolution and get your free copy of Worm Armageddon. As always, you can get your official Meat & Potatoes Productions Worms Armageddon custom maps right here at mnpp.net on this page, or if you would prefer, you can also get them on the Worms Map Database.